Like the comic? Share it + help us LVL UP! 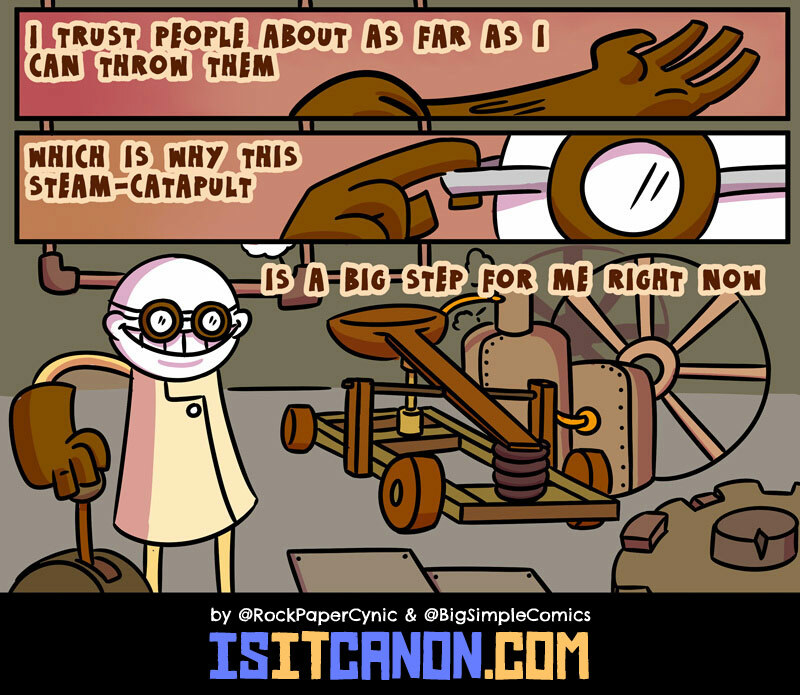 It's amazing what a steam catapult will do for your love life! This is another comic that was first created for Rock, Paper, Cynic with Aaron as a guest artist! Let's face it: the Internet is a giant black hole and the Internet gods may never let you find your way back here. Sign up for one email a week and I'll make sure you stay up to date with comics from Is It Canon and my other webcomic, Rock, Paper, Cynic!